Visual content dominates the modern world. Everywhere you go, there are photos with slogans and messages, not necessarily composed with words. Phone companies market better phone cameras every few months, and people are addicted to uploading photos and recording their life events. Why stop there? 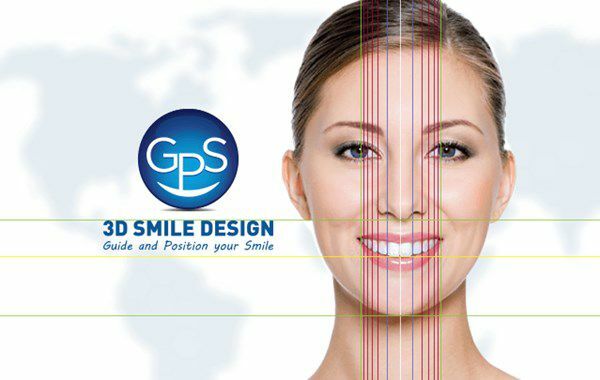 GPS 3D Smile by Design lets us do just that- create smiles by design. This software program allows patients to see their newly reconstructed smile in advance. Visual representations are not only important in marketing or the media, they are also crucial for displaying information to your patients in order to help them make informed decisions. At Dr.Sathya's™ Dental Centre Dr.Sathya is qualified and certified Dentist by GPS 3D Smile Design Team from USA. GPS 3D Smile by Design has given us and our patients the ability to visualize the end-result of dental work. A digital display screen at the office can show patients their finalized, reconstructed smiles by design. First we understand from the patient the need for change of their Smile. Yes every individuals needs to have a good Dental Smile and look good. A good smile can win the world for us. Few photos are taken after discussion as per the standards of Digital GPS Programme. Photos are entered in the software and from the International Smile Parameters as per the Individual Facial AnalysisThe New Smile is designed and Transformed. Image of the patient with the new smile is shown to the patient and if required any changes can be done as per the personal interest of the patient. Once the patient Approves the New Smile and now we explain the options of the different treatment modalities to achieve the same result. After the approval from the patient only then the treatment will start with taking few impressions for cast, mock-ups prepared, transferring to Digital Face bow as per the software and the same procedure planned is performed with the guided procedure from GPS Digital Software. We promise the end result as you have approved your smile at the begin. We believe in WINNING SMILES FOR EVER. SMILE MAKEOVER : DO YOU HAVE THE SMILE YOU WANT? There have been some amazing advances in the dental industry over the last few decades. Today dentists have access to technology that has changed the way we deal with dental issues. This innovative technology allows dentists to provide their patients with the best possible oral care and treatments. These professionals are trained to address your dental needs, from orthodontic to all esthetic treatments. One of the most predominant technologies emerging in the dental market is digital smile design. This equipment allows dentists to create a digital image of what their patient’s teeth would look like post-treatment, thus showing them the end result of the treatment in case. This advanced smile software makes it simple to diagnose and create a dental treatment plan for patients. You can now easily get a smile makeover and improve your appearance, confidence and oral health. Here’s a quick synopsis of how digital smile technology works. The smile makeover procedure always begins the dentist taking a head shot of you smiling. In order to create a digital wax up (3D digital version of your smile) of your teeth post-treatment, they need a photo of your smile. This state-of-the-art technology enables dentists to digitally manipulate your teeth in order to show you the end results of treatment. This process digitally aligns and places your teeth in the exact desired position – it essentially creates a blueprint of your teeth (post-treatment). Once the digital wax-up is created, the patient can view it and weigh all the possible options. From there, the patient decides whether or not they want to proceed with their smile makeover. There are a number of smile make over treatments including veneers, removable dental applications, crowns, dental bridges and more. Each is an effective way of refining your smile. People all over the world are getting the smile they’ve always dreamed of, thanks to today’s cutting-edge reconstructive smile software. The reconstructive smile software enables dentists to provide a high level of service that was previously unheard of. There are a vast number benefits associated with getting a smile makeover. It will improve your physical appearance significantly and, in turn, boost your confidence and increase your self-esteem. You no longer have to be shy about your crooked grin, smile wide and show those pearly whites off to the world! Besides the obvious benefits, a new smile can improve your oral hygiene. A smile makeover promotes good overall oral health and care. Proper oral care and treatment can significantly reduce the chance of gum disease, and other unwanted oral ailments. Every day, smile software becomes more accurate, recognized, and beneficial. This new form of technology has forever changed the dental world. Digital smile design is ideal for those who are interested in getting a smile makeover, but aren’t fully convinced; being able to see the end results is astonishing, this way you know what to expect, no surprises. This makes the decision process simple and effortless.